We are experts in services of Domiciliation of Companies and Virtual Office with over 1,500 active companies with its Registered Office established in one of our SBC Centers. This allows us to have the most comprehensive offers on the market at truly competitive prices. From 9 €/month. To obtain a detailed rate, mark your preference on the form. From this moment we are at your disposal in the way you select. Thank you for your interest. We have sent you an email with the requested information. Please check your mailbox. We will contact you according to your specifications. We remain at your disposal for any questions you wish to make. We are processing your request. One moment, please. What would you want us to do for you? I want you to email me info & prices. I would like to download the rates now. Tax Address and Virtual Office services are valuable legal instruments that allow you to have a registered office which you can enroll in the commercial Register. 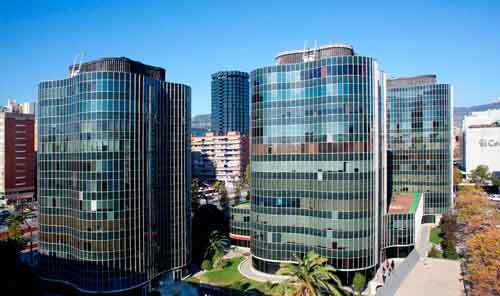 At SBC we have more than 5000 m2 of facilities of high standing for your company to have a prestigious business address in Barcelona. Private offices, 20 meeting rooms, 3 training rooms, auditoriums, Area Office, TV and press areas, spaces where you can enjoy maximum comfort and the highest level of services at a very competitive price. 1-. Tax Address Service: It is an ideal solution for companies, businesses and self-employed in the development of their activity does not need a permanent office but call attendance, receiving mail, fax, small packages or simply a registered office, tax address or commercial address. By having your company at Centros SBC you'll get the necessary services to make your office have a solid and professional looking. Registered corporate or professional address that can be registered at the Commercial Register. Use of address on your documents and cards. Reception, classification and dating of correspondence and small parcel. 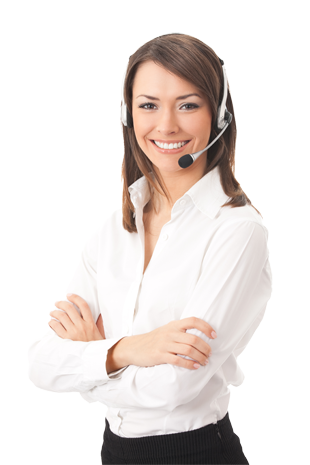 Immediate notice by e-mail of your express mail, certificate and parcel. Security record upon delivery or forwarding of your correspondence and parcel. Meeting rooms and offices rental at SBC Centers. 10% discount applied to Bonus Rate. Rental of Classroom and Auditorium-Theater. 25% discount applied to Rooms Rate. Your own private telephone line. Defining scripts for handling your calls. Immediate notification of your calls and faxes by e-mail. Calls diverted to specified phone (cost not included). Personalized voicemail with your specified message. Daily e-mail with scanned faxes and correspondence (with your permission). General Business Center Services and extra charge. 2-. Virtual Office Service (Tax Address + Meeting Rooms hours Bonus): Virtual Office Services, which regularly request our customers, are the combination of one or more of our Tax Address packs (Basic or Complete) with bonus hours of meeting rooms, interviews and visits. 1- Basic Domiciliation + Bonus 1 (10 hours of Meeting Rooms for 4 people). 6- Complete Domiciliation + Bonus 1 (10 hours of Meeting Rooms for 4 people). 2- Basic Domiciliation + Bonus 2 (10 hours of Meeting Rooms for 8 people). 7- Complete Domiciliation + Bonus 2 (10 hours of Meeting Rooms for 8 people). 3- Basic Domiciliation + Bonus 3 (10 hours of Trade Meeting Rooms for 8 people). 8- Complete Domiciliation + Bonus 3 (10 hours of Trade Meeting Rooms for 8 people). 4- Basic Domiciliation + Bonus 4 (10 hours of Meeting Rooms for 10/16 people). 9- Complete Domiciliation + Bonus 4 (10 hours of Meeting Rooms for 10/16 people). 5- Basic Domiciliation + Bonus 5 (10 hours of Office for 2 people). 10- Complete Domiciliation + Bonus 5 (10 hours of Office de 2 people). An interesting advantage of our Bonus is that you can hold meetings in any of the different SBC Business Centers, simply by calling and booking at the Center that interests you most. What is the Domiciliation of Companies? Why not use my home address? What are the advantages of registering your company with SBC Centers? At what point do I need to sign the contract with SBC? When you’ll be in the process of constituting the new company, one of the essential legal requirements is to establish a registered tax address (Company Domiciliation) of the new Business for incorporation in its Scriptures and must register in the Official Companies Registry. We have 6 SBC Business Centers where we provide this kind of highly personalized services at very affordable prices for more than 1,500 companies. Therefore, you could place your headquarters in any direction of SBC without the need to have a physical space. From the moment of registration in the Official Commercial Register, the communications of the Administration with your company will be done through this address. In SBC Centers we will deal with the receipt, custody, deliver or forward your correspondence and mails by the way you tell us and treating these documentation with procedures to ensure complete confidentiality. You can also access other services to help you maintain a professional image and an efficient operation, such as the telephone service using the name of your company, use of Meeting Rooms, Reporting calls and faxes immediately, etc. Establishing your home address as your registered office amounts to making it public for all effects and purposes. Many entrepreneurs for various reasons prefer to keep a clear distinction between their professional work and their private life, preferring not to communicate their private address to clients and suppliers. Furthermore, it should be noted that the various government agencies will use your registered office to communicate with your business. This requires having someone available to receive notifications, certificates, burofax, calls, etc. to then effectively pass on the information to the addressee. Our qualified staff at SBC Centers will take care of this for you. First, you can rest assured that any notice, certificate or burofax will be received and processed according to your specifications. Secondly, you will have excellent facilities to convey to your customers and/or suppliers a professional image of your company. We will be your office, your staff, your facilities, meeting rooms, etc. And you will enjoy whatever services you select at cost-effective prices to ensure low overhead costs. If you are in the process of setting up your company, you can sign the contract at any time before going to the Notary. Can I have my own exclusive phone number? May I use the meeting rooms? What if my business grows and I need a physical space? SBC's subscription contracts have a minimum duration of one year and are automatically renewed for the same duration. If you purchase the Standard option, you will have your own exclusive number, personalized telephone answering, pre-specified scripts for handling your calls, immediate report of your calls by e-mail and call forwarding to whatever number you specify. This is another service included in our rates. SBC Centers customers can use 8 meeting rooms, 3 classrooms and an auditorium, all fully equipped (Internet access, screen, projector, flipchart, whiteboard, etc.) at significant discounts over the list price. Remember that you can also have catering, technical assistance, advance printing of documents and presentations, attendee reception, etc. Check Rates. At SBC we are aware of how quickly a company can change its needs, so flexibility becomes a requirement which Service & Business Centers can meet right away. When your needs change, we will change with you. If you need to have a physical space, we have 5000 m2, over 200 world-class offices featuring 1-6 work stations and ready for immediate use.